← Happy 42nd Birthday Ken Griffey, Jr. 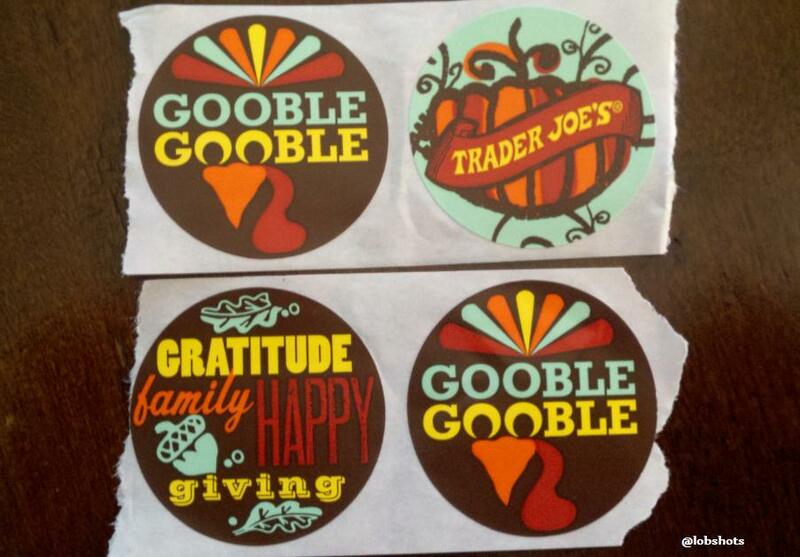 I can’t imagine anybody finds it funnier than I do that Trader Joe’s made about a billion Thanksgiving stickers that say “GOOBLE GOOBLE” instead of “GOBBLE GOBBLE”. Anyway, Happy Thanksgiving, lobsters. I love and appreciate that you guys read the site. Go give thanks for the people you love and people that love you. Eat a ton. This entry was posted in News and tagged gobble gobble, gooble gooble stickers, happy thanksgiving, trader joe's. Bookmark the permalink.